Welcome to the transportation issue. No, we don't really have theme issues (at least not yet). It just worked out that way. 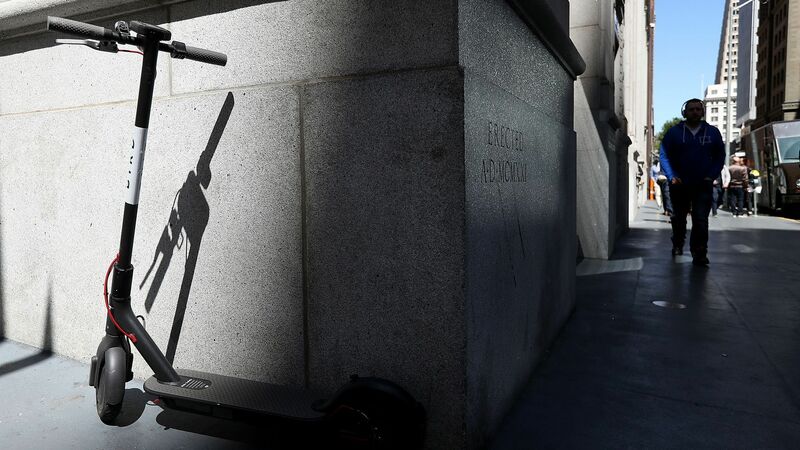 The electric scooter boom has been compared to the early days of ride-hailing in terms of how it is changing urban transportation, but the two markets are fundamentally different, as Kia Kokalitcheva reports. First and foremost: Being able to get a ride in a car would address a much larger transportation need than scooters, which are primarily designed to handle short commutes or help people to connect to another form of transportation. The other big difference: E-scooter companies own their scooters and charge rental fees, whereas ride-hail companies don't own their cars and take a minority cut from driver earnings. That said, things could look more similar once self-driving cars become reality, though that could be a ways from being mainstream. Some cities like San Francisco and Austin are capping the number of scooters allowed on their streets, which would effectively cap revenue. Ride-hail, on the other hand, has a more elastic supply of drivers, with surge pricing helping to attract more into the marketplace. E-scooter companies strive to make sure scooters are available when and where customers want them. In some ways this is similar to ride-hail, where drivers’ apps have maps showing real-time ride demand levels. But it's also different, in that an e-scooter cannot immediately travel to a customer upon request. In some markets like college campuses, there's usually only room for one player with exclusive rights. Yes, but: While there are clearly differences, there are obviously parallels. In addition to both being forms of on-demand transportation, some ride-hailing companies are offering scooter or bike rentals, or are considering doing so. And both ride-hail and scooters can be used as a "last mile" option to and from public transit. Uber continued to shrink its operating losses in the first quarter of 2018, according to financial documents the company shared with Axios. It's also launching a stock tender offer for early employees and investors, at an implied valuation of $62 billion. Including one-time gains from selling operations in Southeast Asia (to Grab) and Russia (to Yandex), Uber actually generated $2.5 billion in profit. Why it matters: Uber wants to go public in 2019, so getting at least close to profitability is of paramount importance. Uber had $2.5 billion in net revenue in Q1 18, up 67% from a year ago and a 7% increase over Q4 2017. Its adjusted EBITDA loss of $304 million, down 49% from a year ago and 36% from Q4 2017. Uber reported $4.7 billion of cash and $3.1 billion of long-term debt, as of March 31. Overall assets are listed at $19.4 billion, while overall liabilities are at $11.67 billion. And, The Verge reports that passengers with disabilities continue to have a tough time getting an accessible Lyft or Uber. Getaround has been quietly testing its car rental service in Seattle and plans to formally launch operations there later today. The service, which allows people to make their personal cars available for daily or weekly rental, already operates in L.A., San Francisco and about a dozen other cities. CEO Sam Zaid said Getaround has around 50 to 60 cars signed up already in Seattle. "We’ve proven the model very well here in San Francisco and the Bay Area and really want to just bring Getaround everywhere," Zaid told Axios. The Times also reported that Apple had sought deals with BMW and Mercedes but had been rebuffed amid Apple's desire to maintain control over design and data. An Apple representative declined to comment. VivaTech takes place in Paris. Waymo promoted policy head Tekedra Mawakana to a new post — chief external officer — that oversees policy, communications and marketing efforts. Qualcomm plans to debut chips specifically designed for standalone VR headsets, Bloomberg reported. 14 states have asked for Congressional funding to upgrade their election systems. Cox Media is shuttering Diehards, its college sports site. The best part of the Salesforce Tower grand opening — mascot Astro trying to squeeze through the revolving door.